Card enhancing? 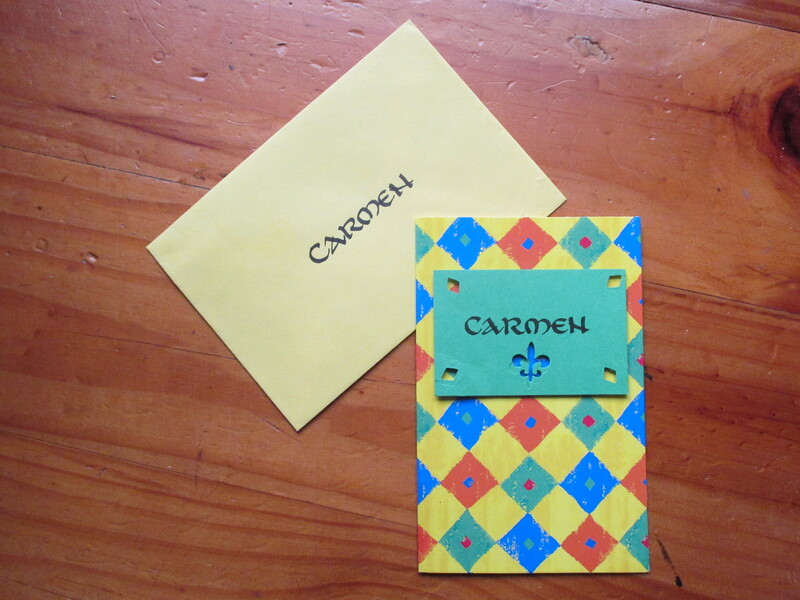 When I’m in a hurry to make an occasion card, sometimes I take a notecard, which already has a base design, add some Calligraphy and other embellishments. 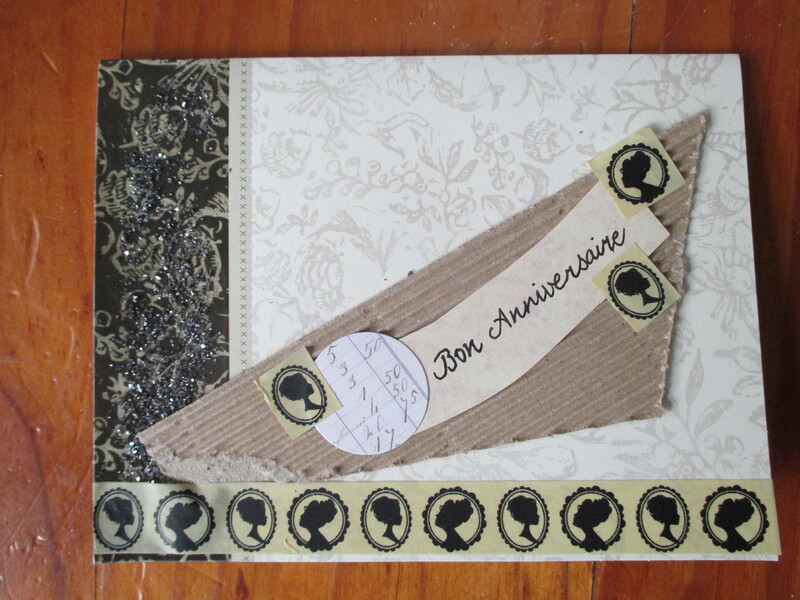 I love to recycle, and have brought this to my card-making. Sometimes I use scraps of paper leftover from other projects, cardboard from cereal packets, coloured card backings from purchased items. Tearing, cutting, punching, and then placing in an aesthetically pleasing way can create a myriad of effects. Utilising foam double-sided tape, squares or dots adds another dimension to the cards. 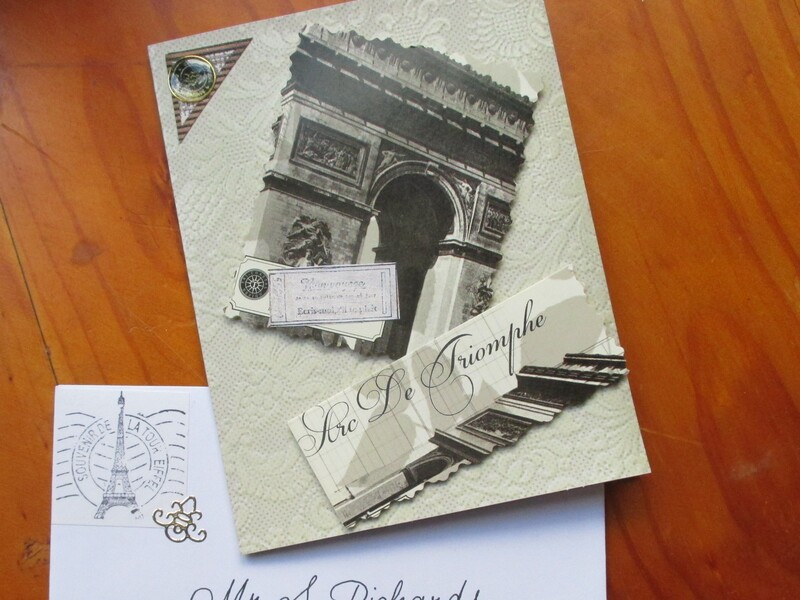 I thought this Ronde Character script added a Parisian flair to the inside of the card. 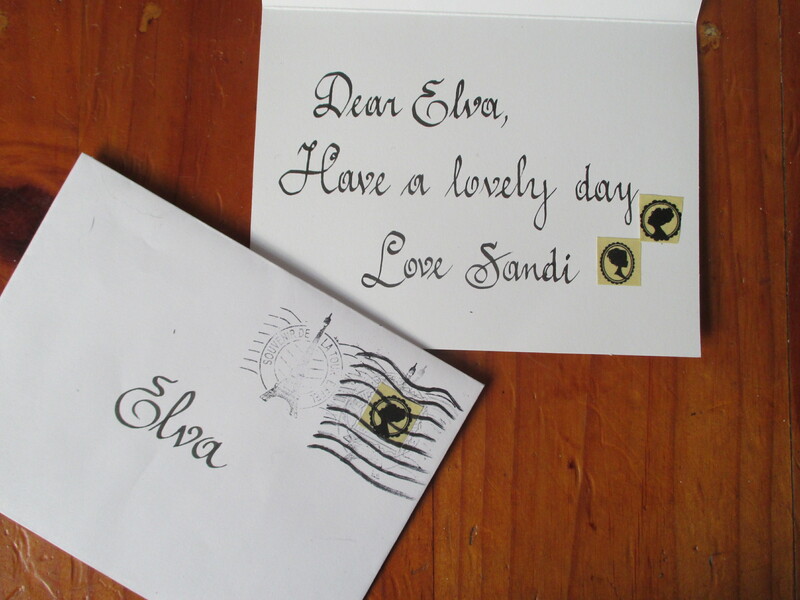 Decorating the outside of the envelope adds interest. You may think you are not creative, but if you borrow other people’s ideas you can adapt them to your own needs, and before you know it, you may unleash your latent creativity and become addicted to this form of self-expression!